Pallet Pickup Canada is the first and only Canadian company to offer NATIONAL coverage for your pallet recycling needs! We are the first and ONLY all-in-one company offering national coverage, designed to provide the service your business requires and ensuring pallets are properly recycled. One less concern for your business to think about with the knowledge that you're doing your part for the environment. 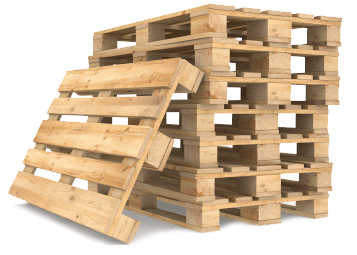 We understand you are not in the pallet recycling business so let us help you. 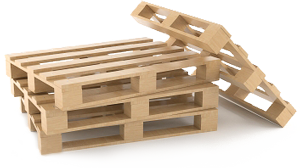 We will offer new ideas and solutions to provide better pallet management, lower waste costs and possibly provide a higher rate of return on recycled pallets when possible. We listen to our customers to develop a sustainable pallet recycling solution with the aim to reduce costs, minimize transportation and ensure all waste wood is reused when possible. We provide online real time recycling numbers so your business can track and view exactly how many pallets have been recycled across Canada. Is an important part of our sustainability plan and we want to be as environmentally aware as possible. The benefit for your company is by working with Pallet Pickup Canada, the more pallets we pick up and recycle from your location the more trees we help to plant with Tree Canada, so far we have planted over 2,000 trees and the numbers are growing quickly. We have a very practical commitment to pallet recycling and do our best to stop as many pallets as possible ending up in landfills. One of the biggest proactive steps we have taken, is making our facility in Mississauga carbon neutral. Let us ensure your company isn't a part of the problem of excessive waste and growing landfills, but in any way possible actively part of the solution by recycling and keeping our energy needs as low as possible. All our customers are provided with access to an automated online pallet management system, where you can keep track of every transaction ensuring you know exactly how many pallets were picked up from just one or multiple locations across Canada. We give your business the opportunity to see exactly how Pallet Pickup Canada is helping save you money, increase potential revenue and easily keep on track of every pickup. Information is paramount and in the past used pallets have been very difficult to control and manage over many locations and provinces. We remove this problem and provide online up to date numbers so your company can be back in control of every used pallet we pickup and recycle. Pallet Pickup Canada Provides pallet removal services to businesses small or large, that ensures your pallets are properly recycled and not piling up in landfills. All-in-one nationwide service gives you one less thing to worry about. One of the biggest motivators for you is knowing that by using our services, you are making a difference. We have partnered with Tree Canada to help plant more trees across Canada. We have a very practical commitment to pallet recycling and do our best to stop any pallets from ending up in landfills. Pallet Pickup Canada provides you with the service you need to ensure your pallets are not a concern or problems for your business. 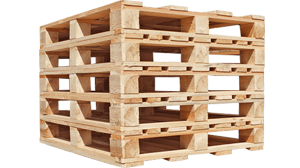 By working with us your pallets can be picked up daily, weekly or monthly, and properly recycled. At Pallet Pickup Canada we want to offer your company a way to either save money or gain from increased revenue. We back this up with total accountability and a team of knowledgeable pallet experts working on your behalf to ensure every pallet will be recycled and not put into landfill or waste. Trees Planted 2,000+ and counting!